More common sense and less zeal may be the key to bridging the information gap. A cheap tool for spreading the benefits of computer technology. 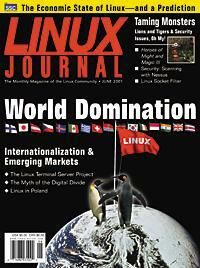 A look at a Warsaw Linux Users' Group. Turn serial to symmetric for high-speed computing. Speed up changes to your HTML documents with this template package. What can the AltiVec processor do for Linux programmers?